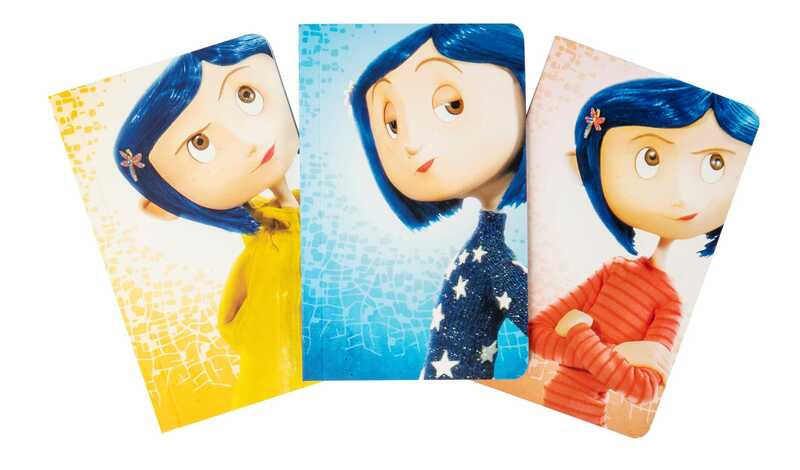 From acclaimed animation studio LAIKA comes this colorful collection of pocket notebooks celebrating Coraline. Filmed entirely in eye-popping 3D, the must-see stop-motion animated classic tells the tale of a young girl lured into an eerie, alternate version of her real life. Featuring colorful graphics from the movie, this set of three 64-page pocket notebooks comes with one ruled, one blank, and one grid-lined notebook for all your note-taking needs.